Our before and after school care program (BASC) provides a safe and happy environment for students before and after regular school hours. BASC is available to all children, Kindergarten through 8th grade, who are registered students at St. Clare School. Our hours of operation are Monday through Friday from 7-8am and 3-6pm (2-6pm on Tuesdays), excluding major holidays, in-service days, and school vacations. BASC provides regularly scheduled care which guarantees child care on particular days that works with your family’s schedule. Drop-in care is also offered on a first-come, first-served basis – providing space is available. BASC also offers extended care on noon dismissal days. Additionally, parents may also use the BASC program to coordinate with after school activities such as music, drama, CYO sports, or tutoring. Our program features outdoor recreation, crafts, free play, homework time, movies (on the long cold days) etc. BASC allows your child time to socialize with schoolmates under the supervision of our qualified and experienced staff. Our number one priority is to provide high-quality care for your child in a safe, loving, and positive atmosphere. 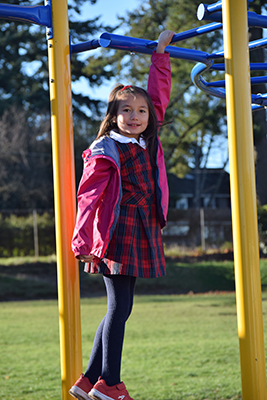 The school provides the BASC program as an option to help parents with their commitment to Catholic education at St. Clare School. We look forward to seeing many returning students and some new faces as well! We are a state licensed child care center. Each additional child beyond the first child will receive a 50% discount from the base rate. No sibling discount rate for drop-in care.